Many individuals picture their retirement as being a time of quiet solitude but unfortunately, sometimes this isn’t always how it plays out. Individuals may wish to find a volunteer position in order to help them give back to the community as well as find ways to fill their time that are both meaningful and important to them. Ask yourself your purposes for volunteering. Without this knowledge it may be difficult for you to identify a position that appropriately fits your volunteer goals. There are many different motivations for being a volunteer including making new friends, giving back to your community, giving more meaning to your life or improving your individual life circumstances. 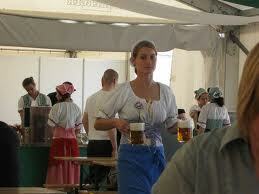 Identify a volunteer job for which you seem like a good fit. If you have particular experience or skills that are uniquely suited to a position, this can be a sign that you would be an appropriate fit as a volunteer for that organization. Does the need match with your commitment? When choosing the appropriate volunteer position make sure that the hours that are required every single week, the intensity of the work you’ll be doing, and the duration of the work period is appropriate for the time and energy that you are able to give. 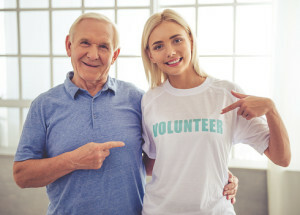 Many individuals in retirement seeking out volunteer opportunities are doing so because it is a great way for them to add in extra opportunities to their schedule but you do not want to be in the position of giving away too much of your time and finding that it interferes with your life. Stay tuned to my blog to learn more about how to plan for and enjoy retirement to the fullest. I recently came across an uplifting story that I want to share with you. It’s about a young woman named Melissa Manier, who was working as a waitress at a restaurant in Harrisburg, Pennsylvania to help pay her way through college. One day, she was waiting on an elderly gentleman who frequented the restaurant, a man by the name of Benjamin Olewine III. The two had never spoken to one another, but on this particular day, they did. During their conversation, Benjamin learned that Melissa was working her way through nursing school and struggling to pay her student debt. According to Benjamin, he admired Melissa’s determination to succeed and her demeanor. So much so, that he offered to pay off her existing loans, and cover the cost of the rest of her education. As you would expect, Melissa was skeptical. After all, she had no idea who this man was, other than another friendly regular customer. It turns out that Benjamin Olewine III is a millionaire and one of Harrisburg’s most generous philanthropists. He had donated money to causes all over town, and he was serious about paying for Melissa’s education and helping her realize her dreams of becoming a nurse. Fast-forward a few years, hundreds of hours of study, and $20,000 in tuition payments from Benjamin—Melissa is now a registered nurse. Fittingly, she works at PinnacleHealth in Harrisburg, where the spine, bone and joint institute is named after a major donor. That donor’s name is Benjamin Olewine III.